Nora Henson joined CCGD in 2004 as Youth Chorus conductor. For twenty-seven years, Ms. Henson taught choral music to sixth-through-twelfth-grade students in Texas public schools. Groups under her direction were invited to perform for the American Choral Directors Association and the Texas Music Educators Association. Her choirs were awarded “Best in Class” in festivals in Texas, Florida, Colorado, California, Nevada, and Tennessee. Ms. Henson has served as soloist and section leader in several Dallas area churches and was a charter member of the Dallas Bach Society. She has served as guest conductor of Orpheus Chamber Singers, Schola Cantorum of Fort Worth, and Aria Chamber Chorus. She serves as clinician and consultant for music teachers, conductors, and singers throughout the United States. She currently is an Adjunct Associate Professor at the Meadows School of the Arts of Southern Methodist University where she teaches Choral Conducting and serves as the Coordinator of Music Student Teachers. Ms. Henson earned the Bachelor of Music Education from the University of Oklahoma and a Master of Arts in Conducting, under Dr. B. R. Henson, from Sam Houston State University. 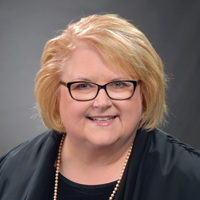 Her professional affiliations include the American Choral Directors Association, Texas Music Educators Association, Texas Music Adjudicators Association, and honorary fraternities Pi Kappa Lambda and Delta Kappa Gamma. Ms. Henson received the Choral Excellence Award from the Texas Choral Directors Association in July 2013.